Today I’m welcoming Laura Paris to the podcast! 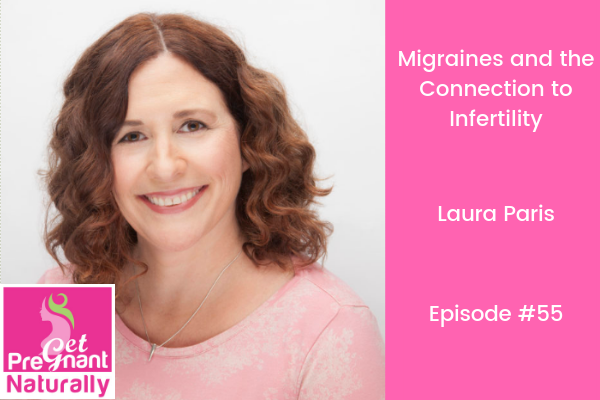 We’re digging into the connection between migraines and fertility. In addition she teaches online hormone reset programs with her colleague Dr. Anita Sadaty (a functional medicine gynecologist). Currently they offer a six week program called the PCOS solution – the next group starts January 12 go to www.myhormoneanswers.com to learn more. I can’t tell you how many women I speak with and coach who are struggling with infertility AND migraines. That’s why I wanted to dig into the connection between migraines and fertility. Because in functional medicine we look at the root cause….and seek to understand WHY. Instead of taking medication for the migraines – let’s figure our why they started in the first place. We’ve seen this over and over again…once we dig into the root cause – be it food sensitivity, gut infection, hormonal imbalance… the migraines go away – plus they either get pregnant – or they are on the way to preparing their body for pregnancy. 1) The connection between migraines and fertility. We discuss the connection with estrogen dominance, menstruation, blood sugar regulation, and stress. 2) Why gut health is key. Plus food sensitivities (we talk about underlying yeast and mould sensitivity). 3) You’ve heard of leaky gut – we also talk about leaky brain and how inflammation triggers migraines. 4) Methylation (MTHFR) and why it matters. Plus magnesium deficiency and supplement recommendations.